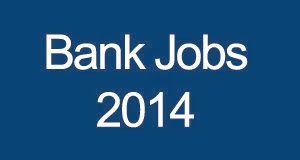 Bank of India (BOI) Recruitment 2014 for the post of Security officers. All the interested candidates can apply online through the official website of the bank www.bankofindia.com or can follow the procedure given in the official advertisement published by the bank. You can download the official advertisement from the following download link. There are total 27 posts including all the reserved categories, check out the following details regarding the Bank of India vacancies 2014 for security officers. Salary / Pay Scale: Rs. 19,400/- to Rs. 28,100/- Per month. Education qualification: All the candidates applying for this recruitment, must completed their Graduation from any recognized university. Certification in Computer Science/IT course of minimum 3 months will preferred and should have desired experience. Rs. 100/- for SC/ST/OBC/PH and other reserved categories. The selection of candidates will be purely on the basis of the performance in Group discussion and Personal Interview. The minimum mark scores criteria is given in the advertisement for all category candidates. Download the recruitment notification and read it carefully. and then pay the application fees through this challan to any Bank of India branch. After payment has done, branch will give you a transaction number, remember it. Download the following notification advertisement and apply online from the given link.